The exhibition comprises two parts. 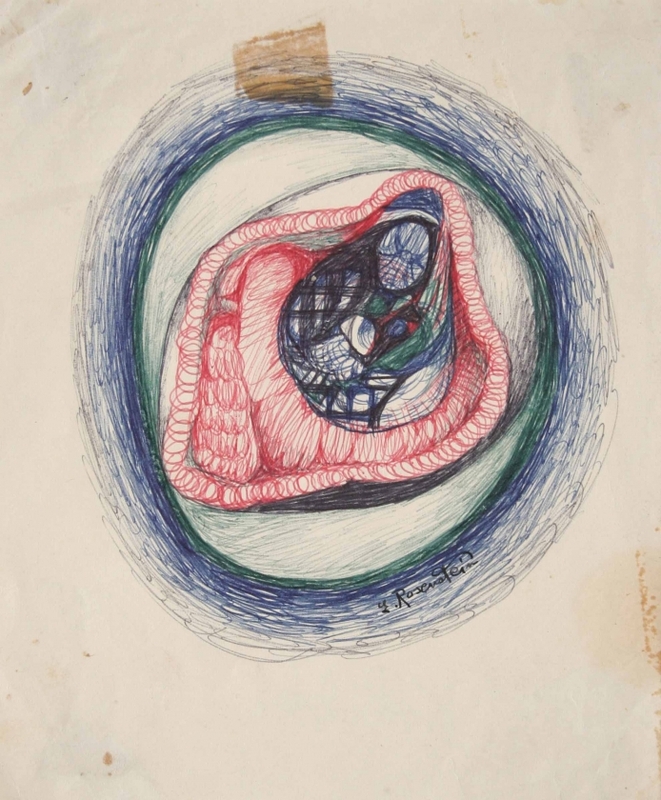 In the space of the Foksal Gallery Foundation on Górskiego St. in Warsaw we present paintings and drawings. 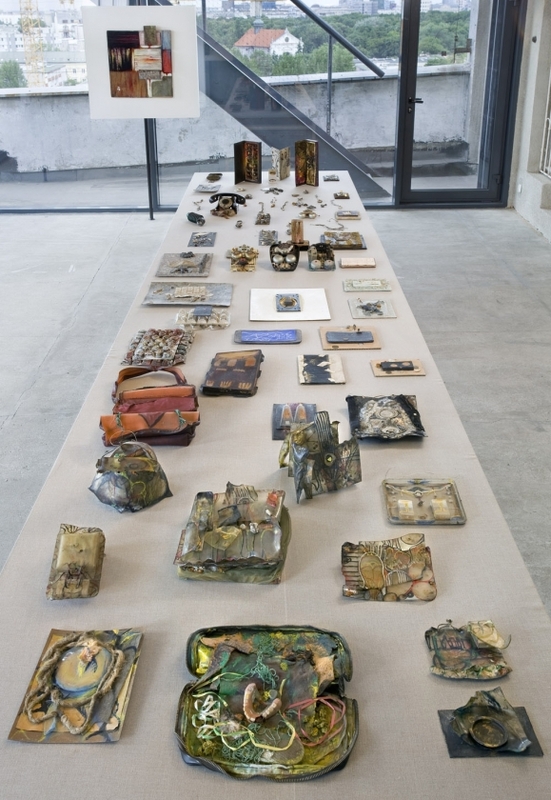 On display in the Avant-garde Institute, the former Stażewski/Krasiński studio, are objects, ready- made paintings and assemblages of plastics, painted chocolate boxes, doorbells, bottle caps, and springs. Until recently treated as margin to the artist’s work, they are shown here as being central to it. They surrounded her in her studio, accompanied her as unique pieces of jewellery, blurring the boundaries between art and life. Once they formed a whole; today, irreversibly altered, they demand a reinterpretation. All the works are shown for the first time. They form a collection of Erna’s son, Adam Sandauer.